The Jay Board of Selectpersons. 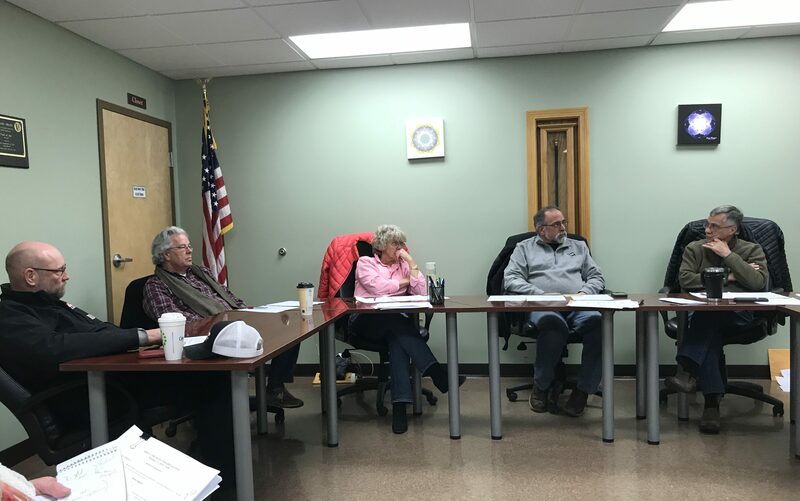 JAY - The Board of Selectpersons discussed items that may appear on this year's town meeting warrant, as well as approving additional funds for engineering work associated with North Jay Wastewater Treatment Plant project. The board set the language for the warrant article that will allow voters to choose to opt-in to allowing marijuana establishments in the town. Due to a law that took effect in December 2018, municipalities must vote to allow marijuana-related businesses to open within town limits. The opt-in law does not impact registered caregivers. Looking over different sample questions provided by the Maine Municipal Association, the board chose an authorization that would allow for marijuana, and medical marijuana stores, as well as cultivation, products manufacturing and testing facilities. Residents can vote 'yes' to authorize such businesses to open, in accordance with state law, or 'no' to prohibit future businesses from opening in Jay. Previously, town officials had noted that Jay could implement ordinances to regular marijuana sales in addition to the opt-in vote. The board had decided to wait on that issue to see what regulations the state will develop. In other business, the board discussed adding an ordinance to regulate special amusement businesses in town. Currently, Jay issues special amusement permits for $10 to businesses and non-profits that have live entertainment at an establishment serving alcohol. 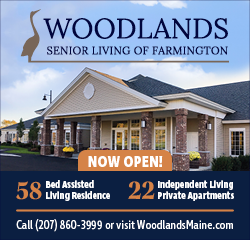 Recently, town officials learned that towns must have an ordinance to issue permits. Roughly four or so permits are issued each year, some for businesses and others for non-profit organizations. The board looked at an ordinance used in Westbrook that simply requires that qualifying businesses seek a permit. They also briefly discussed increasing the cost of the permit to cover the associated advertising costs, or simply advertising through free, town-based sites rather than local newspapers. A potential ordinance will be presented at the next board meeting in order to try and meet the April town meeting. The board also voted unanimously to include language on the town meeting warrant indicating the board and Budget Committee votes for each article, such as 5 to 0 in favor or 3 to 2 in favor. Sewer Department Superintendent Mark Holt said that the income survey conducted of users of the North Jay system had indicated that the town did qualify for state funding associated with last November's bond package. Additionally, the town could now qualify for federal funds through the U.S. Department of Agriculture Rural Development. Those funds could take the form of either grant money or principal forgiveness, while the remaining cost of the project would be a loan. Residents overwhelmingly approved a $3.9 million project to replace the North Jay Wastewater Treatment Plant with a pump station that will send sewage to Livermore Falls at a special town meeting in September. The board unanimously approved giving Wright-Pierce an additional $8,700 to apply for the federal money, as well as authorizing the town manager to sign the application. Holt also discussed the possibility of allowing ATVs utilize a section of the Old Jay Hill Road during construction of the new sewage line, allowing them to bypass the portion of the Whistle Stop Trail that runs alongside the proposed line. ATVs would use the side of the road during construction: roughly 7 to 4 p.m. on Monday through Friday. The board unanimously approved the request, and Holt said he would discuss the detour with police on issues such as a speed limit for the ATVs and proper signage.